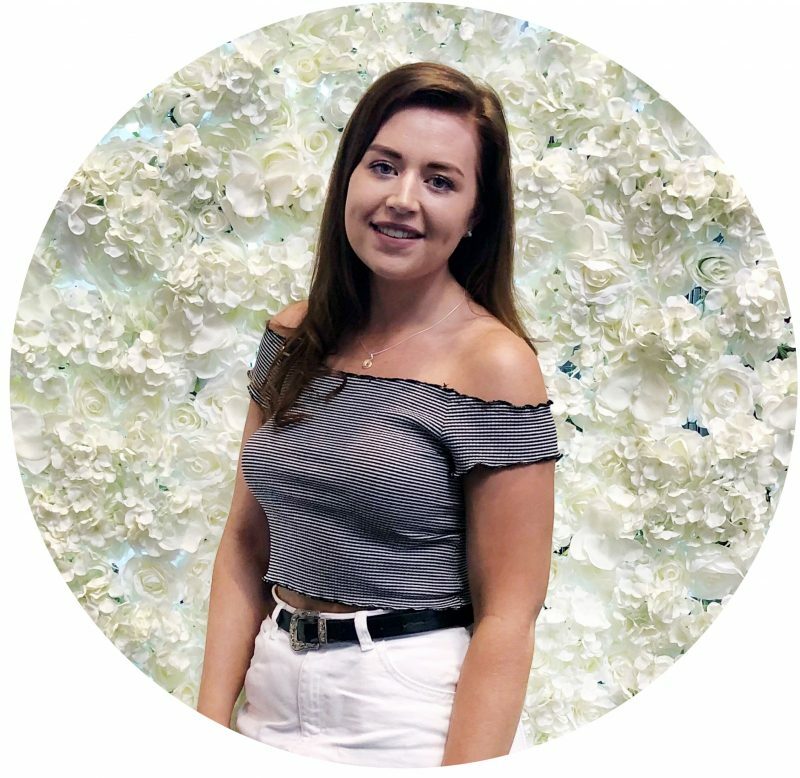 With Mothers Day just around the corner, I thought it would be the perfect time share one of my well known gift guides with you. I know how many people often struggle with gift giving, especially when your Mum can be the hardest person to buy for (the struggle is very real). So I’ve got you covered as i’ve teamed up with a few of my favourite beauty brands to bring you some gift ideas that I am sure every Mum would be enjoy and be thankful for the Mothers Day. PRODUCTS FEATURED IN THIS POST WERE kindly GIFTED to me. As I’m sure we all know, our Mums are absolute heroes in their very own way and sometimes they really don’t get the time to treat themselves or to give themselves a little pamper from time to time. One of my Mum’s favourite skincare brands and a brand i’ve also recently began to enjoy more, is Nivea. 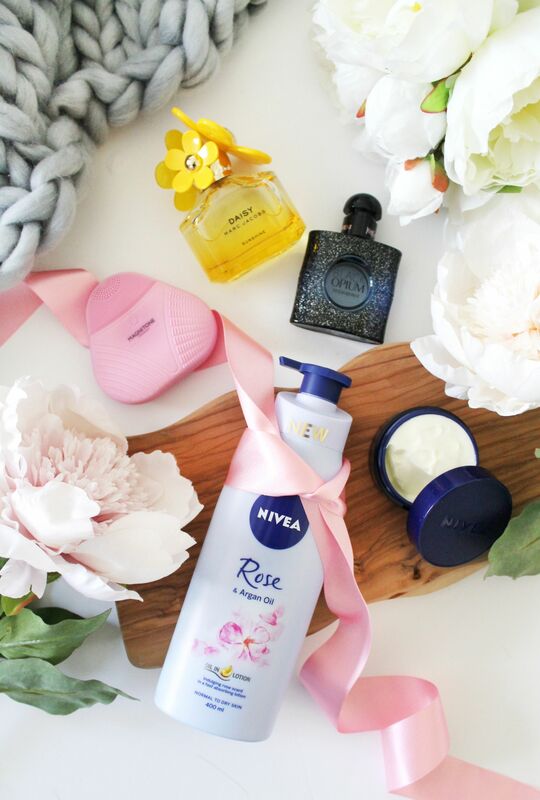 For me I always associate Nivea as a brand your Mum or Nan’s all love, and they have some lovely products that would make lovely pamper gifts for your Mum this Mothers Day. Firstly the Nivea Q10 Power Sleeping Mask* (£7.99) which is a lovely hydrating creamy mask which you apply at night and allow to sink into the skin during your sleep. As it’s a part of their Q10 range, this mask is targeted towards targeting wrinkles and making the skin appear plumper and with a youthful radiant glow. Another product from Nivea, of which is a recent release is their Nivea Rose & Argan Oil Body Lotion* (£3.99), which smells incredible and leaves your skin feeling so smooth. Both of these products, along with a few personal treats would make a lovely little pamper kit for your Mum this Mothers Day, and you don’t have to spend a fortune either! Sticking along the skincare theme, this next product is definitely one that will add something different into your Mums skincare routine. For just over a year now i’ve relied heavily on my electric face brush as I think they are amazing at removing every bit of makeup from your face, but it also feels like you’re having a luxury facial at home. Magnitone have recently released their XOXO Micro-Sonic Silicone Cleansing Brush* (£40) of which is designed to be used as part of your daily cleansing routine to, deeply cleanse, brighten and soften the skin. What is great about this cleansing brush is that it can be used on all skin types, but it also has different brush textures for different types of areas of the skin and different types of skin. This cute little brush comes in two colours, pink as i’ve featured and also in a fresh mint colour but I personally love the pink colour way, and I think this would be a really thoughtful gift for Mothers Day. Last but not least it wouldn’t be a gift guide without a bit of fragrance, as we all know I love a bit of fragrance and so do our Mums! Fragrance Direct have got an amazing variety of fragrances with some recent new releases just in time for Mothers Day, and they kindly sent over two for me to share with you. First up is a favourite of mine personally from Marc Jacobs and that is of course Marc Jacobs Daisy* (£46.95). Every year they come out with a limited edition colour for Summer. This year they’ve recoloured their signature fragrances into this lovely sunny yellow colour for their Sunshine Collection. Another fragrance that i’ve seen recently is the YSL Black Opium Intense* (£48.95) of which as the name would suggest is an intense edition of their signature and best selling YSL Black Opium fragrance. Both of these fragrances are stunning in their own right and I think treating your Mum to one of these fragrances would be so thoughtful. So that is my Mothers Day gift guide! I hope this has given you some inspiration on what to treat your Mum to this year and I hope you all have a lovely Mothers Day with your Mums and family! What are you gifting your Mum this Mothers Day?